Last Wednesday, October 16th, Dominica joined the rest of the world in the observance of World Food Day (WFD). As we stated a few World Food Days ago, we shouldn't have bothered. But as usual, extension officers held perfunctory meetings in schools and government officials gave lip service to the value of farming to the economic and nutritional wellbeing of both rural and urban communities. In spite of the rhetoric, it is always a crying shame to observe how laize faire Dominicans have become to the issue of food security and agricultural development. In one of his WFD messages observed under the theme, Towards Sustainable Food Systems, José Graziano da Silva, the Director General of the Food and Agriculture Organisation (FAO) of the United Nations warned that the food crisis which gripped the world in 2008 has not completely gone away. "The biggest failure is that, in spite of plentiful food supplies, the health of more than half the world's 7 billion population is affected by under- or over-consumption. Just 3 years ago, the threat of famine forced millions of Somalis to abandon their homes to search for food, and as many as 260,000 people, many of them children, are estimated to have died of starvation. This was a horrific reminder that the global food market works well for those that have money but fails to respond to the needs of the poor. "Even now, around 840 million fellow humans face daily food shortages that prevent them from working, stunt the growth of their children, expose them to illness and lead to premature death. The health of another 2 billion people is compromised by nutrient deficiencies. "At the other end of the spectrum, another 1.5 billion are overweight or obese, consuming more food than their bodies need and exposing themselves to a greater threat of diabetes, heart problems and other diseases. What is clear is that "the market" alone does not automatically translate food availability into better nutrition, health, productivity and happiness. "The most glaring market failure stems from the fact that those with the greatest food needs are unable, because of their poverty, to translate these into demand. They are caught in a hunger trap which is self-perpetuating because they do not have the means to buy or produce the food their family requires for a healthy life. That hunger persists in a world of plenty food is truly scandalous. The other major failure relates to the unsustainability of the present food system. This has both environmental and human dimensions," the FAO director general stated. 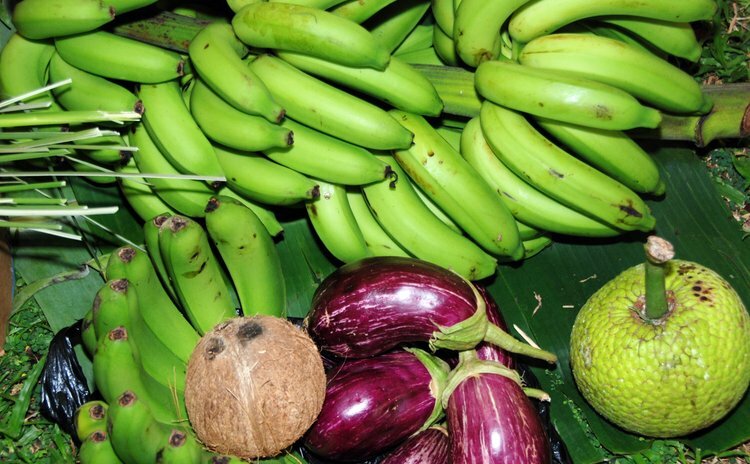 The impact of the food crisis on the economy of Dominica has been dramatic. On the social front the levels of poverty and indigence has increased precisely at the time when Dominica was expecting to announce that the island had made progress in the attainment of that aspect of the Millennium Development Goals. According to the FAO, the rural poor worldwide have been hit hardest by the crisis. To reduce this alarming levels of world-wide poverty, Dr Jacques Diouf, a former FAO director general suggested a few years a that industrial countries must mobilise more than US$20 billion over three years to assist small holder farmers in food-deficient developing countries. Please forgive our scepticism, but we did not expect developed countries, currently suffering from near-crisis economic problems, to pledge such large amounts of money to poor countries. In fact, a regional minister of agriculture made precisely that point in when he said the agenda of developed countries is no more on fighting poverty and alleviating hunger but rather on " economic aggrandizement at the expense of poor people" and Caribbean countries should no longer depend on the "courtesies and handouts" from the rich world. Nonetheless, we must reiterate that in response to the food crisis, Dominica has very few options. We must revive agriculture if we are to reduce our dependence on imported food. The FAO has made that point over and over. "It is vital," Dr. Diouf stated in his 2009 WFD message, "particularly in times of crisis, that support to agriculture not be reduced. Only a healthy agricultural sector, combined with a growing non-farm economy and effective safety nets and social protection programmes will be sufficient to face the global recession as well as eradicate food insecurity and poverty." As their country moves deeper into a general election campaign mode in 2013, Dominicans can expect to hear ridiculous grandiose plans for the development of the agricultural sector and elaborate schemes to reduce the nation's strangulating food import bill. But for the Skerrit Administration and future governments as well, delivering, rather than merely discussing food production plans, is the only way the issue of food insecurity will go away.